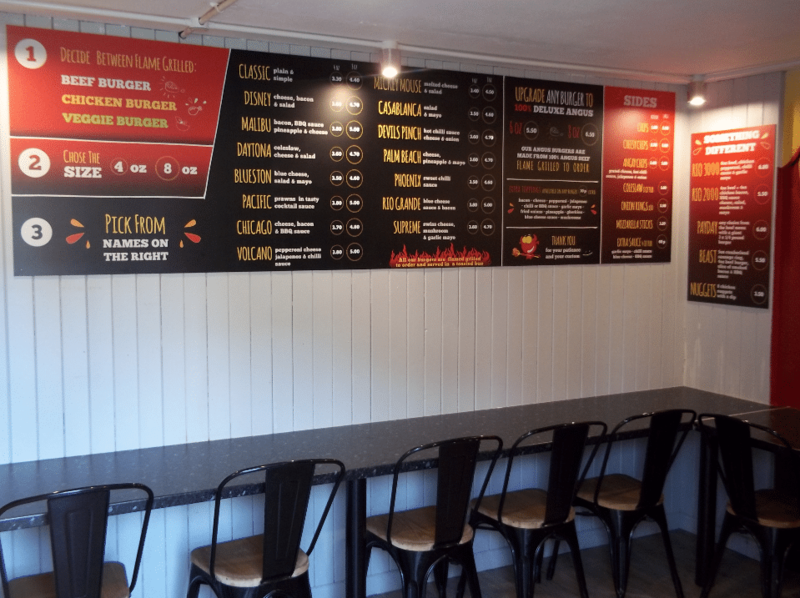 During refurbishment, a local burger bar asked us to completely redesign their menu with the brief of taking a complicated existing menu and simplifying it as much as possible. While the old menu at Rios was much loved by the locals it was very large and difficult to navigate, featuring over 35 different varieties of burger. To simplify this while still allowing the same variety of burgers the new menu was designed on a different style, a 3 step choice system. 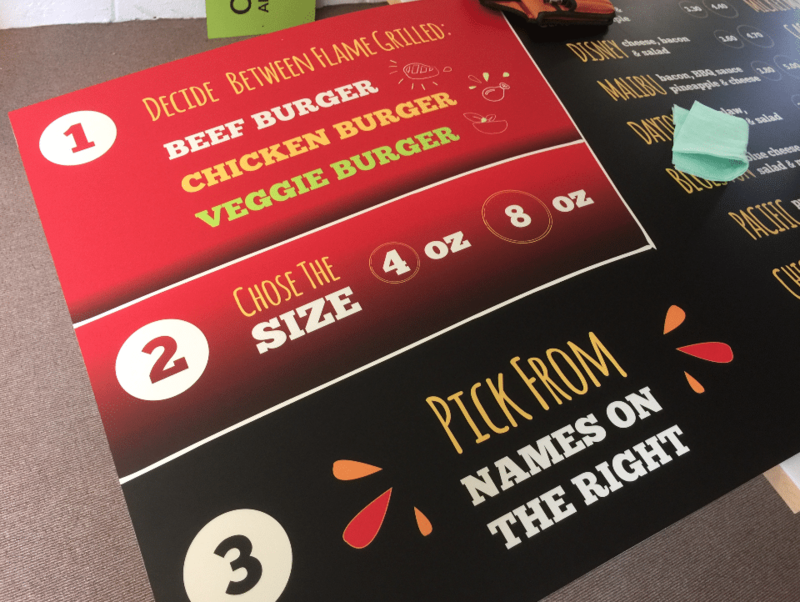 As many of the burgers had the same toppings under different names because they used a different meat or size of burger, we quickly condensed the varieties down to 15, with the option to change whether they are beef, chicken or veggie burgers. 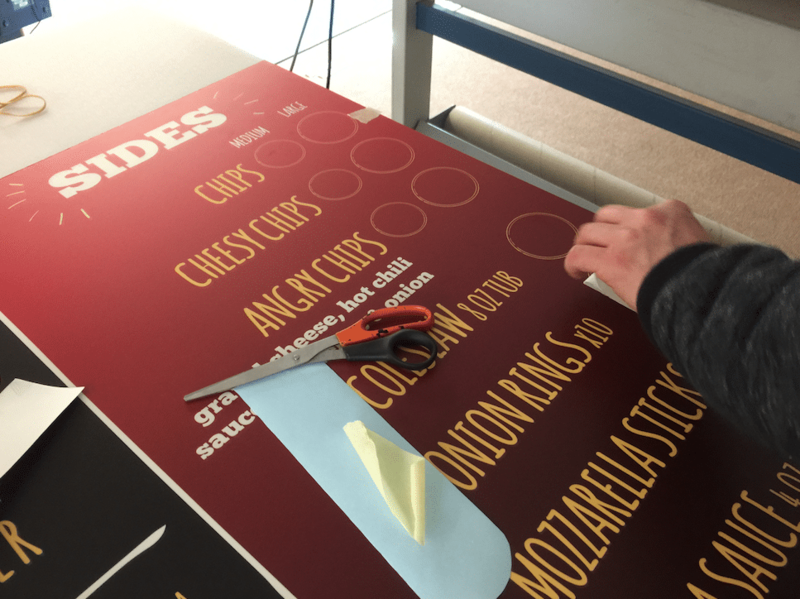 All production for the menu board was done in house and made with the customer’s needs in mind. We used a matt laminate at the customer’s request, to reduce the glare from overhead lights and make the menu easier to read. 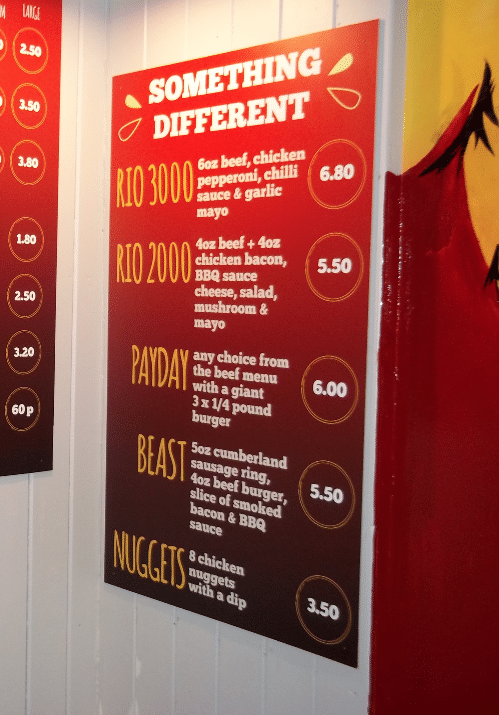 As anyone in just about any business is aware, prices are often effected by rising costs – so the menu board was printed with no prices, these were added after with a cut vinyl, meaning any need to adjust the prices could be achieved easily without the need for an expensive reprint of the entire board. 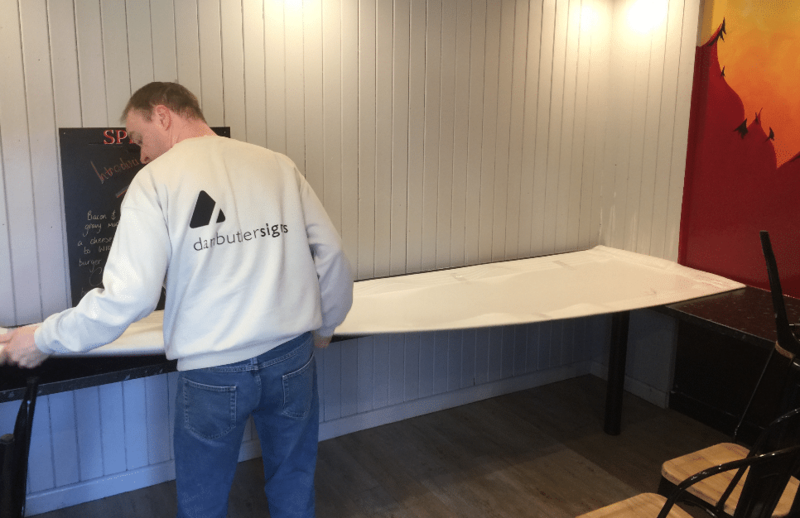 We offer a professional installation service, which we always show as a separate price in quotes to give our customers the freedom to choose if they would like our team to take the hard work out of fitting or save some money by fitting the signs themselves. In this case the customer requested our assistance, and our team worked around their schedule to get the job done before any of their customers arrived. With their new looks menu, our customer is now equipped to serve their fantastic burgers.